NEW - First run, 1 1/2 Qt. with cover, $35 (plus shipping and handling) WHILE THEY LAST. Will sell for $75. At this price, buy one for yourself and one for every member of your family. 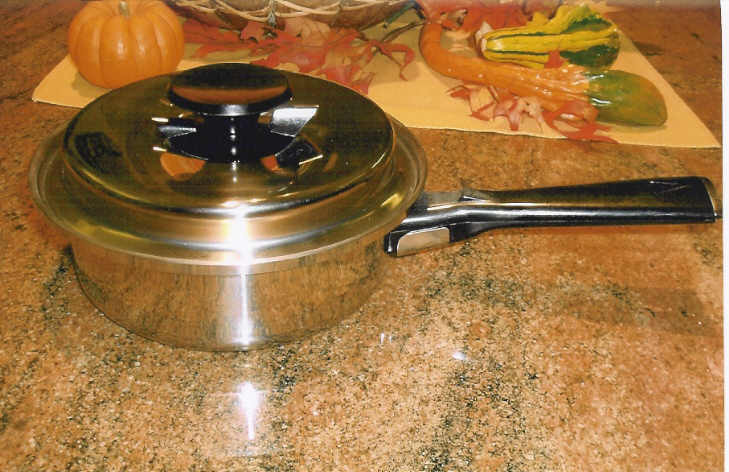 This is a scientifically designed piece of stainless steel cookware, with a regulator valve and center moisturizer, that will retain foods' vitamins and minerals. makes all stainless steel like new.